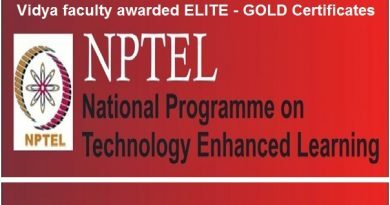 The Department of Computer Applications had organised a Two-Day Workshop christened Chip-to-Net 2.0 during 19 – 20 Jan 2017. The Workshop was targeted at the BCA/BSc students of neighbouring arts and science Colleges. 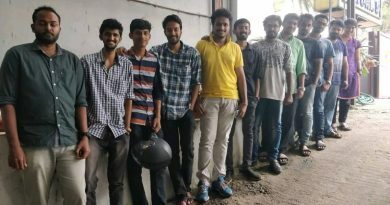 The response to the invitation to the Workshop was so overwhelming that a large number of interested students could not participate in the Workshop. With the approval of the Trust it was decided to organise a similar workshop a second time and Chip-to-Net 2.1 happened. Chip-to-Net 2.1 was also targeted at BCA/BSc students of neighbouring arts and science Colleges. It was organised during 16 – 17 Feb 2017. 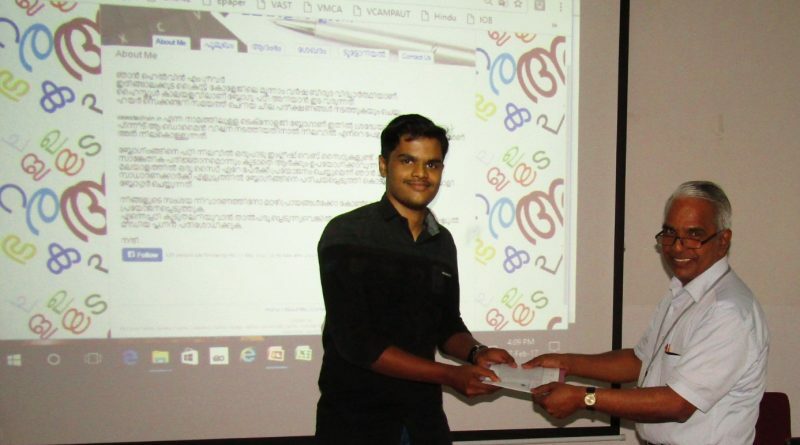 As many as 34 students from seven colleges in Thrissur, Palakkad and Malappuram Districts participated in the Workshop. The inaugural ceremony of the Workshop was held in the Seminar Hall of the Department at 9.30 am on 16 Feb 2017. Dr Sudha Balagopalan, Principal, formally inaugurated the Workshop. 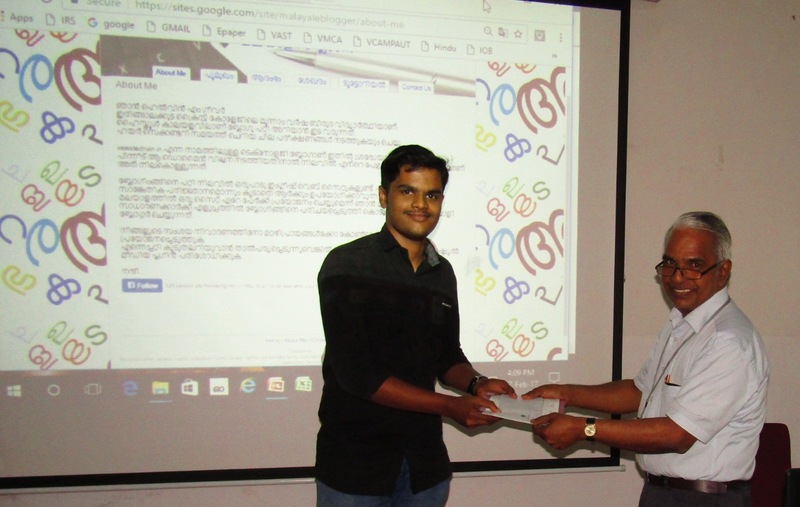 Mr. Chakola Paul Johny, Head of Training & Placement Cell, felicitated the participants. After the inaugural ceremony and the refreshments, the first technical session of the Workshop was held. 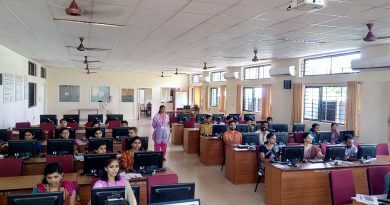 During this session, the participants were given a complete fully hands-on training on the methods of developing websites using Google-sites tool. The afternoon session was devoted to a demonstration of “Unscrewing and Re-screwing” a desktop CPU. In parallel, the participants also spent time to develop their own websites using the tools they were introduced to in the forenoon session. During the forenoon of the second day there was the exciting introduction to ethical hacking very ably handled by Mr Shanil K N, Assistant Professor in the Department of Computer Science & Engineering. In the afternoon, there was a session on web-hosting handled by Mr Sajay K R and Me Dijesh P, Associate Professors in the Department of Computer Applications. Certificates to the participants and prizes to winners were distributed during the valedictory function held at 4.00 pm on 17 Feb 2017.